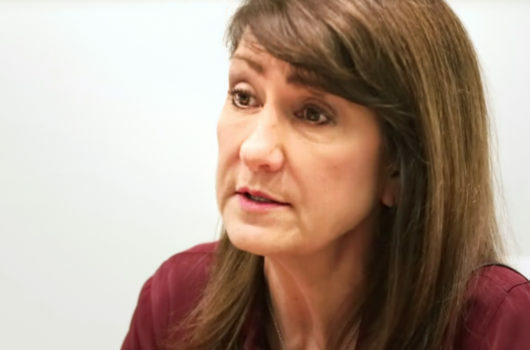 A recent investigation by Rewire demonstrates that Nebraska’s attorney general, like numerous others throughout the country, has particularly close relationships with extreme sections of the anti-choice movement, and that many extreme right-wing and fundamentalist Christian groups enjoy a high degree of access with government officials. Americans United for Life, the extreme anti-choice bill mill, seems to have been particularly worried by the Women’s Health Protection Act, which was debated in the U.S. Senate Judiciary Committee this summer. 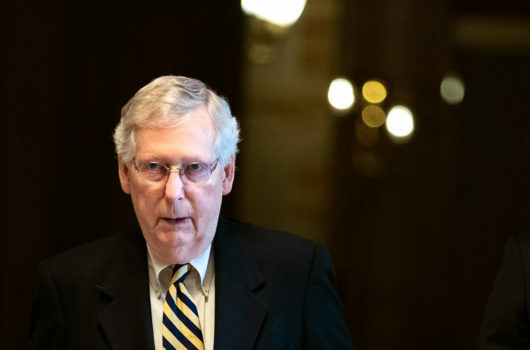 Intended to block many of the anti-choice laws that have been passed in recent years, the bill has virtually no hope of passing the Republican-controlled House, and is seen by many pro-choice advocates as largely symbolic. Yet, in an email sent to Nebraska’s attorney general, Jon Bruning, AUL Nebraska’s state director, Suzanne Gage, struck an alarmist tone. The bill “would eliminate virtually all pro-life laws in the country if enacted,” Gage wrote in July 9 email to Katie Spohn and David Cookson, two of Bruning’s senior staff. Bruning never did write such a letter, according to a spokesperson. And Grassley’s office did not immediately respond to our requests for confirmation of his role in this effort. While there is nothing illegal about citizens communicating with their elected officials, the series of emails obtained by Rewire through public records requests demonstrates that Nebraska’s attorney general, like numerous others throughout the country, has particularly close relationships with extreme sections of the anti-choice movement, and that many extreme right-wing and fundamentalist Christian groups enjoy a high degree of access with government officials. And though Bruning did not grant Gage’s request this July, last summer his staff members were happy to satisfy an AUL request. In a June 5, 2013, letter to the U.S. House Committee on the Judiciary, Bruning touted his anti-choice credentials. “I believe life begins at conception and have been a consistent and staunch supporter of strengthening pro-life measures in Nebraska,” he wrote. The two-page letter went on to detail the various regulations and prosecutions relating to abortion in Nebraska. It was one of many written by state attorneys general as part of a failed attempt to unearth rogue abortion providers throughout the country. A few days later, Gage reached out to Spohn and requested a copy of Bruning’s letter. Spohn was only too happy to oblige. Gage characterized her emails—and the warm reception they received—as a normal part of her advocacy work. Also included on Gage’s recent note to the attorney general’s office were two high-ranking people within the anti-choice movement—Greg Schleppenbach and David Bydalek. Neither immediately responded to our requests for comment. According to news reports, Schleppenbach was recently named director of the Nebraska Catholic Conference, the lobbying and public policy division of the state’s three dioceses. His wife, Jacqueline, is also politically connected. A former staffer at the White House, the U.S. Department of Labor and for the governor of Virginia, she was also one of the plaintiffs in a key lawsuit—the Halbig case—that could dismantle the Affordable Care Act by undoing the tax credits available to purchase health insurance on the federal exchange. Halbig was Jacqueline’s maiden name, according to local news reports. David Bydalek is policy director at Nebraska Family Alliance, which recently merged with Family First, a group affiliated with the extreme Christian group, Focus on the Family. He and Gage work together for two other groups: Heartland Home Schoolers and the Nonpartisan Family Coalition, according to public records. A spokesperson for the Nebraska Family Alliance told Rewire that Bydalek was no longer affiliated with the home schooling organization, but that he was “unavailable” to respond to our other questions.